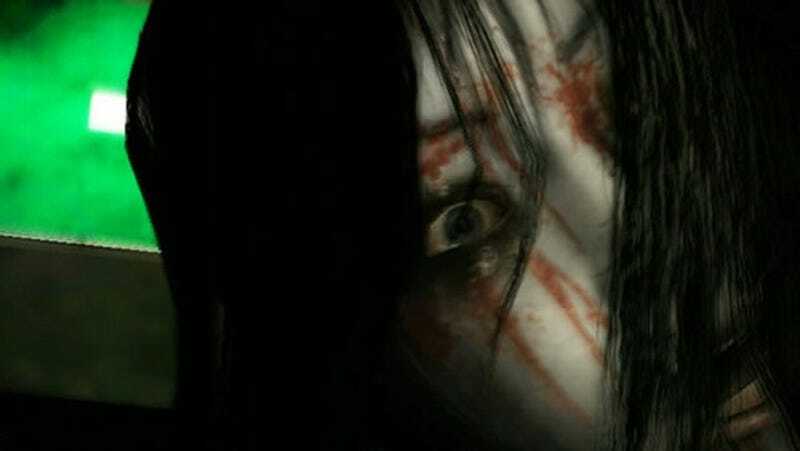 The Wii is getting its first "haunted house simulator" this Fall with the North American release of Ju-On: The Grudge, based upon the Japanese horror film Ju-On, XSEED Games announced today. The game was announced for release in Japan just a few weeks ago, but plans to localize it for a pre-Halloween release in the States are well underway. Ju-On: The Grudge is said to tap the creative consultant talent of the original film's creator Takashi Shimizu, clearly a master at haunted house simulation. Ju-On: The Grudge turns the Wii Remote into an on-screen flashlight, as players move through an abandoned warehouse, a dimly-lit hospital, and a mannequin factory, staple locations of horror games. The Wii game has a bit of a twist, as a second Wii Remote can be used to "make in-game events happen immediately to make the player jump and hate you forever." It's also a hate simulator!